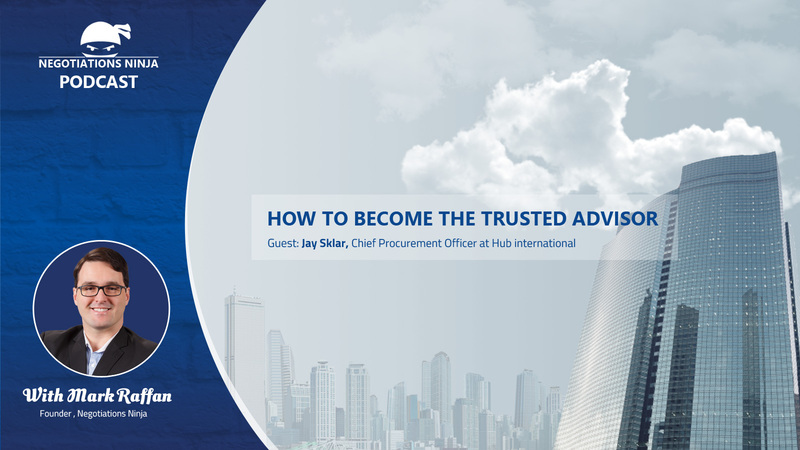 In this episode, Jay Sklar, Chief Procurement Officer at HUB International, discusses how procurement people can become trusted advisors to our internal business stakeholders. He’s seen so much change and built so many teams that he knows what it takes. Fortunately enough, he’s also a great guy and he’s willing to share his wisdom and give guidance on this incredibly important topic. We hear the term “Trusted Advisor” so much that I feel like it’s losing a bit of its meaning. So many of us have a different idea about what ‘it’ is and what it takes to become a trusted advisor. The fact of the matter is that our internal business stakeholders desperately need us to be trustworthy (so what does it take to build that trust?) advisors (how can we advise them and improve decision quality around supply in the business?). Jay has great strategies on what to do to become the trusted advisor, and interestingly, what not to do.